Phoenix Reborn slot by Play'n Go with fiery expanding Wilds! Phoenix Reborn slot by Play'n Go is a fiery and spectacular looking game as you may expect given the incendiary appearance of this legendary bird. He and his fellow icons live on stone reels set over a jungle temple and you play to some modernistic native music with roars as the Phoenix does his stuff when he appears. This subject is surprisingly unusual given the scope for invention the phoenix provides but we do have Phoenix and the Dragon from a long time ago developed by Genesis Gaming via the Microgaming sites and Quickspin's far plainer-looking Phoenix Sun. If you like your fire even hotter then Quickspin have also given you Volcano Riches, but what chance do we get here of avoiding our bankroll turning to ash too? We begin our journey on Phoenix Reborn slot with a large grid because the 5 reels all have 6 rows each and we have 40 fixed paing lines. Symbols are single although 2 can appear on a reel, with the exception of the top two character icons which are super stacked. Your Phoenix is an expanding Wild which roars into a full reel Wild in a fine display of fire when landing and is our top 5-of-a-kind pay at 25x bet. 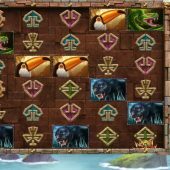 The Female Warrior awards 10x, Male Warrior 7.5x, the three animals of Black Panther, Viper and Toucan 3.75x with 5 runic stones all awarding 0.75 for a full line. The Wilds therefore can pay 1000x bet if you land all 5, but if you don't there are Sun Disc scatters on all 5 reels for an enhanced bonus! If you land 3,4 or 5 Sun Discs then you are awarded 7,12 or 20 free games. You can retrigger them in the same way plus if just 2 scatters appear you are awarded 3 extra spins. Your enhancement is simple - there are flaming torches above all 5 reels and at least one of them will give an expanded Wild Phoenix during each free game, as well as any you land in the normal manner on the reels which expand. 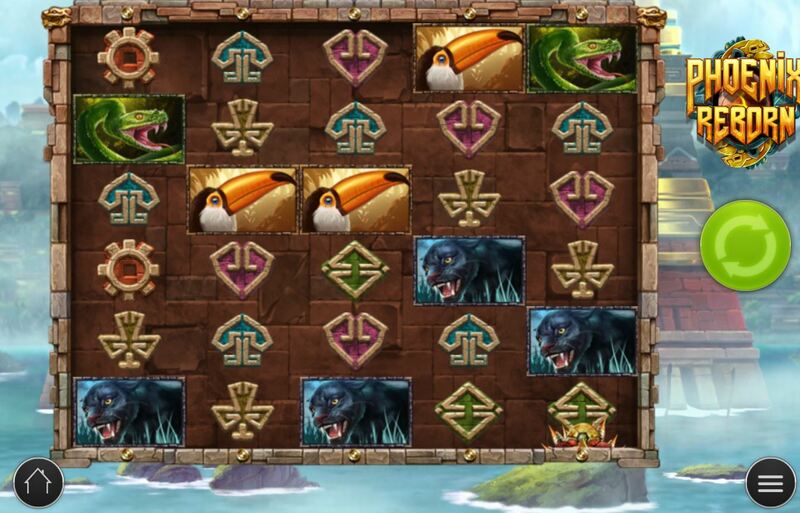 They tell us we can win 5000x in this round, but take that with a pinch of salt if you think you'll see a full screen of Wilds on 4 or 5 of your free spins.